1.) Place all ingredient into a medium sized saucepan. 2.) Heat on a low heat and stir occasionally. 3.) Simmer for 10 minutes and YOUR DONE. If you want to add any fillings, now is the time. 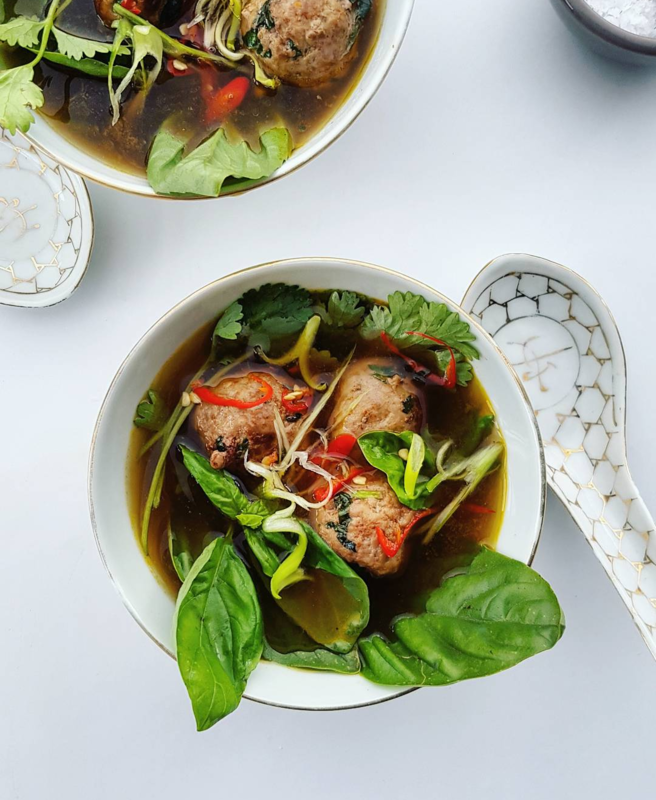 – Thai Beef Meat balls or Poached chicken, I usually have some sort of protein already prepped in the freezer, which makes cooking a lot easier when I am cooking for Dave and I and feeling lazy or when things are quite busy. Depending on what he feels like, I either cook/ heat it on the side or add it to the soup once I have dished my own, this style of cooking makes sharing meals with my conscious carnivore SO EASY.